Unfortunately we have to move house 😦 We’ve always had some cracks in the walls and doors sticking in doorframes – which we put down to being an old house on clay soil. But a couple of weeks ago we had a very large crack open up in the main hallway of the house and we discovered that the front and back brickwork had shifted away from the house and is in danger of falling off. We called in an engineer to assess the house, and the problem is that we need to do some major structural works done, and since we’ve never really liked the house anyway, we’ve decided to just move instead. So this means we need to pack up our considerable amount of stuff 😀 to get the house ready for open homes and moving – which means we need to fill my sewing/stock room with boxes to store them until we move. At this stage I have no idea how long this process will take, but I have to close until after we’ve moved. Keep an eye on my facebook page and I’ll post a reopening when I’m settled in. The store has exploded with a huge amount of Halloween and Sugar Skull themed pads! This set features 5 cloth pads made from different “Harry Potter” themed fabrics in 3 sizes. With a pad drying strap, bracelet and a bookmark with wizardy charms on each end. A fantastic Christmas present for a Potter fan! Added loads of new pads! Pantyliners in singles and sets, Adjustable absorbency pads, light and regular pads, and some uber long heavy night/post partum pads. 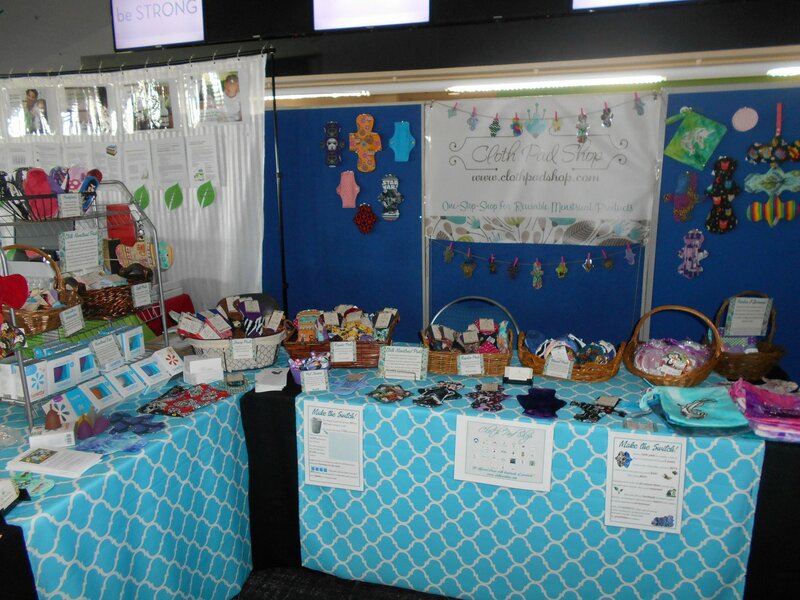 Also from now on my Cloth Pad Shop store will be linking to my website for the sales, so rather than having my pads split between both stores, all the pads will be listed on my website and you can order there, and my CPS store will show some of my products and link you to my site to buy them. 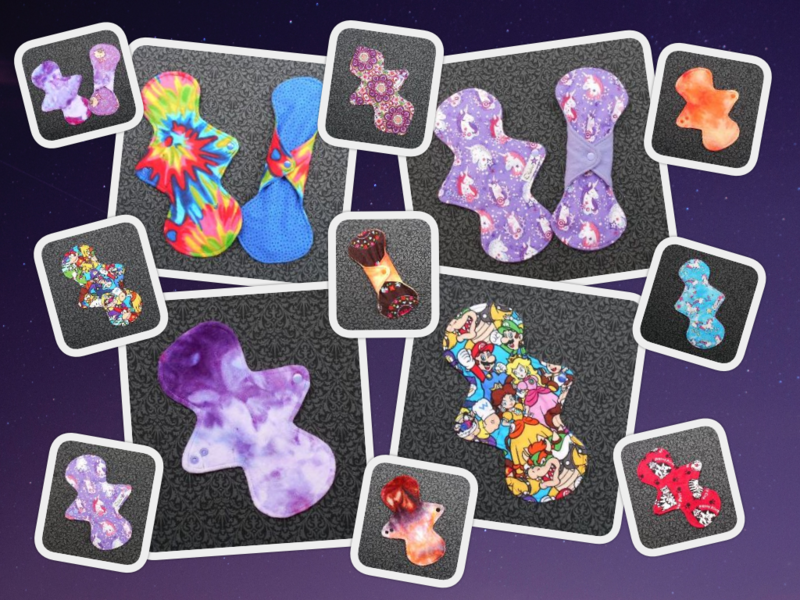 New pads added on my Cloth Pad Shop store and my website! Had a great day at the Casey Green Kids Expo today! Lovely little free kids/sustainability expo the council does each year – to help promote green options – and guess what!?! They told me today that in addition to their cloth nappy rebate program (where you can claim a rebate on cloth nappies, to encourage people to use them) they will be including a rebate on reusable menstrual products!!!!! Wooo!!!! So that will encourage people in the city of Casey to switch to reusable menstrual products. When they have the program running (they said about a month) I’ll post again with more info. We had about 200 cloth pads!!!! 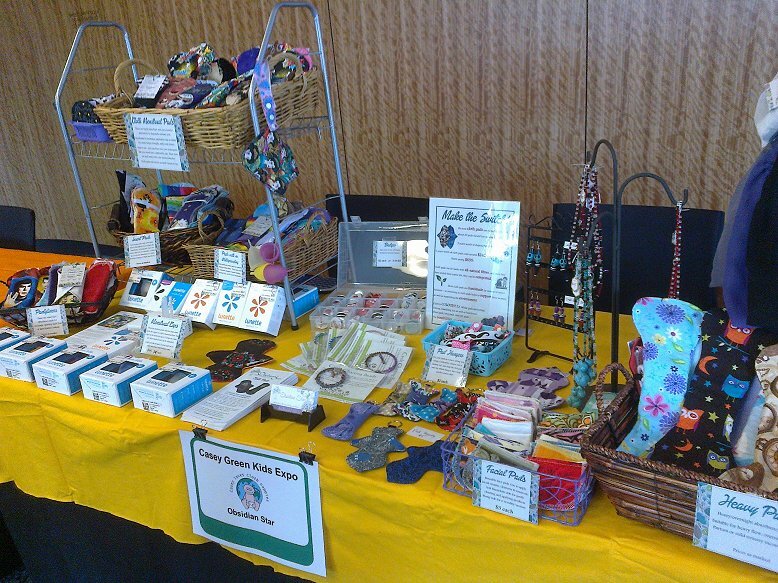 as well as breast pads, Lunette menstrual cups, wetbags and assorted other goodies! 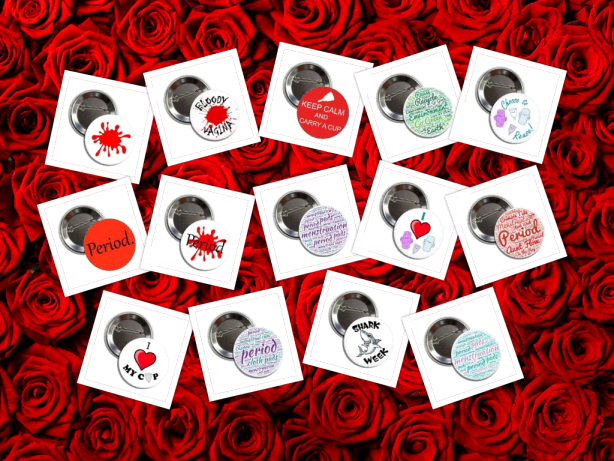 Flow Loud and proud with these Menstrual Activism badges!